Laptop Repairing Course Content covers basic electrics to laptop motherboard fault-finding with the help of Schematics. Detail description of every section of a laptop i.e Standby section to VCORE VGA section. Other famous tricks like DIS To UMA and Mac Conversion also part of course. Bios Editing and Clean Me-Region Injections are our Specialization topics. Note: Paid internship for three months also available for students have marks between 60% and above in our Exams after completing our Course. Shop no.11, ground floor, Khodal chamber, next to Vodafone store, 60 feet road, RB Mehta Marg, Ghatkopar East. Mumbai -77. We Design Our Laptop repairing Course With 12 years of experience. We cover all contents related to laptop repair. The course includes an advanced level of repair hidden Secrets. 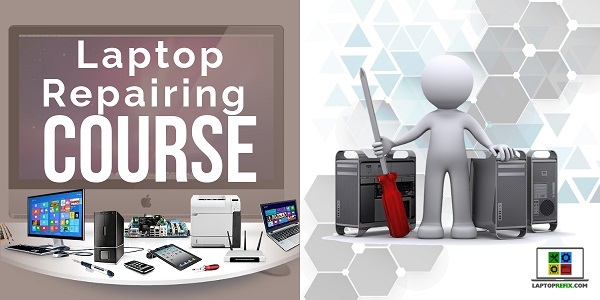 Any fresher or computer technician related to Computer repair services and searching for good carrier opportunity can Join us. Qualification for our course is 10th pass or above.